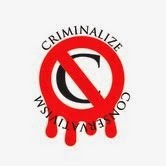 Criminalize Conservatism: When Conservatives Tell The Truth, Is Armageddon Around The Corner? When Conservatives Tell The Truth, Is Armageddon Around The Corner? When DO the Cons tell the truth? Until the Romney candidacy we've been used to the lies emanating from the Conservatives, especially when it's close to Election Day. 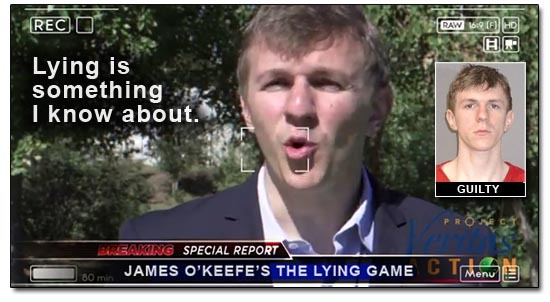 "Lying Scumbag James O’Keefe Returns With Predictably Dishonest Hit Piece On Alison Grimes." "When you’ve spent your whole career producing feverishly partisan videos that have been denounced as brazenly deceitful by everyone from Rachel Maddow to Glenn Beck, it isn’t particularly newsworthy when a new one is posted that exhibits the same pattern of deception and reeks of the pathetic amateurism that has become your trademark. "Of course we’re talking about the infantile news defiler, James O’Keefe, who seems to have no limit to the copious quantities of shame he can endure at his own hand. This week he debuted his latest ode to defamation (video below) aimed at slandering Democratic Kentucky senate candidate Alison Lundergan Grimes. The video purports to cast Grimes as a cynical and hypocritical politician who will say anything to get elected. Setting aside the naivete of that theme when discussing politics, O’Keefe’s opus fails utterly to prove its contention. 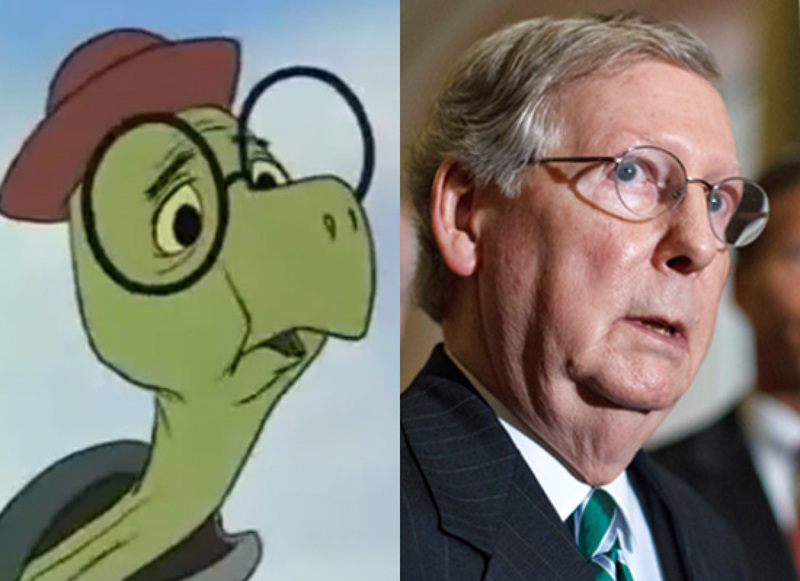 You have be pretty incompetent if you can’t successfully find some self-serving duplicity in any modern politico, but O’Keefe manages to hit that elusive mark..."
"Alison Grimes Is Running Out of Time to Challenge McConnell's Obamacare Lies." "Alison Lundergan Grimes got the best news she’s had in a few weeks on Monday, when the latest Bluegrass Poll found her two points ahead of Senate Minority Leader Mitch McConnell in the Kentucky Senate race. "Grimes has been consistently behind by a few points in most polls, and if you use polling averages rather than individual polls as your touchstone (as you should) then the most optimistic interpretation of this one poll is that it could portend the race returning to her favor. If things shake out that way, it would obviously be huge news. But the truth is, there’s no reason to assume that’s what’s going on. And it would be a real missed opportunity if the Grimes campaign allowed this one data point to reinforce the cautious tendencies that have allowed McConnell to avoid real accountability for his position on the Affordable Care Act, which he’s been obscuring with babble for months now..."
"John Boehner Just Admitted on Twitter That Republicans Have No Jobs Plan." "Liberals have had quite a bit of fun with this on Twitter (as I have), but Boehner accidentally told the truth in that tweet. The Republican Party doesn’t have and has never had a jobs plan during the Obama presidency. To see that, take a look at the actual five-point 'jobs plan' that Boehner links to in his tweet..."
And when you hear the truth, the truth shall set you free! Of course we we're just joshing you, Conservatives are unable to tell the truth unless their elections depend upon it. When John Adams lost his re-election bid, his mistake was telling the truth about his belief that the upper class should rule. They never made that mistake again until Mittens was nominated, and their fall in America will be because the American voter has finally caught on: Conservatism is not only a disease, it's a criminal cartel hell bent on destroying every vestige of democracy in the U.S.
at all by the facts."